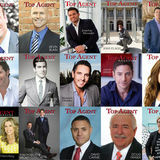 the future, she plans to expand her team by adding two more buyer’s agents as well as an assistant listing agent. She has an ambitious goal this year of $50 million in sales. Down the road, she’d love to be a real estate coach. With her dedication to her clients, her agents and her community, she’s sure to make those dreams a reality! To find out more about Cynthia Quarantello, you can contact her via email at cynthia@cqrealtygroup.com or by phone at 919-830-9051. You can also check her out online at CQRealtyGroup.com. www. 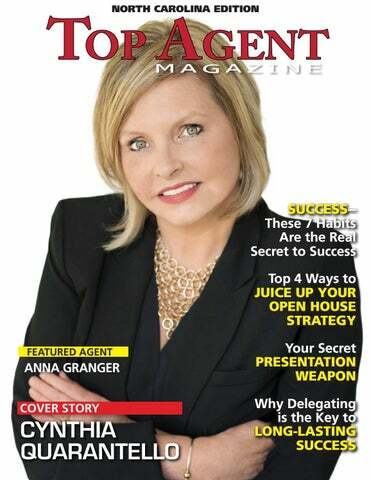 To learn more about Anna Granger, e-mail AnnaGrangerHomes@gmail.com, https://www.facebook.com/AnnaGrangerRealEstate/ visit 1stChoiceProperties.us, call (980) 272-6300, or visit her Facebook page here. www.